What happens if you open a trading account with just $100? Since margin trading allows you to open trades with just a small amount of money, it’s certainly possible to start trading forex with a $100 deposit. Let’s see what can happen if you do. 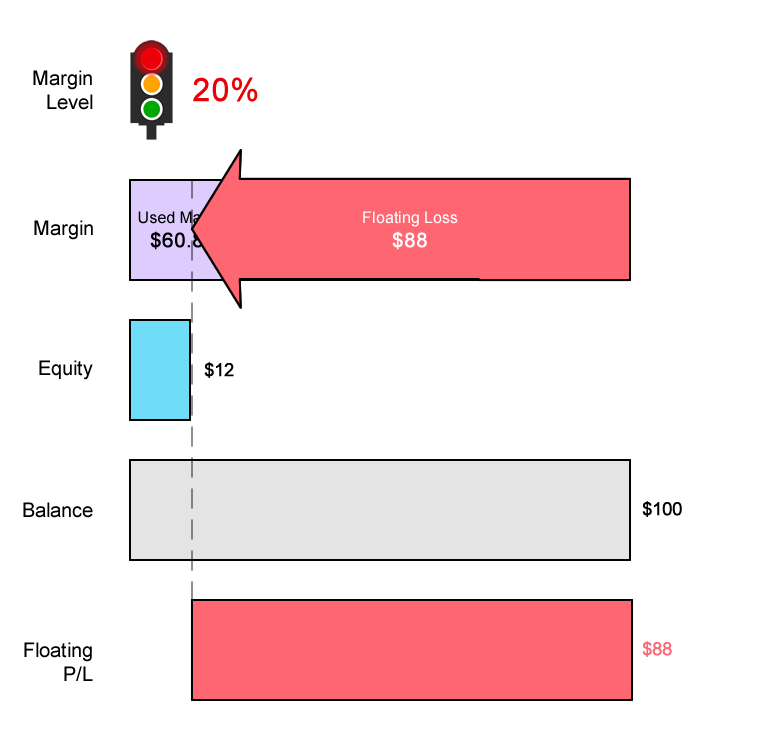 In this trading scenario, your retail forex broker has a Margin Call Level at 100% and a Stop Out Level at 20%. Now that we know what the Margin Call and Stop Out Levels are, let’s find out if trading with $100 is doable. Since you’re a big baller shot caller, you deposit $100 into your trading account. You now have an account balance of $100. You want to go short EUR/USD at 1.20000 and want to open 5 micro lots (1,000 units x 5) position. The Margin Requirement is 1%. How much margin (“Required Margin“) will you need to open the position? The Notional Value is $6,000. 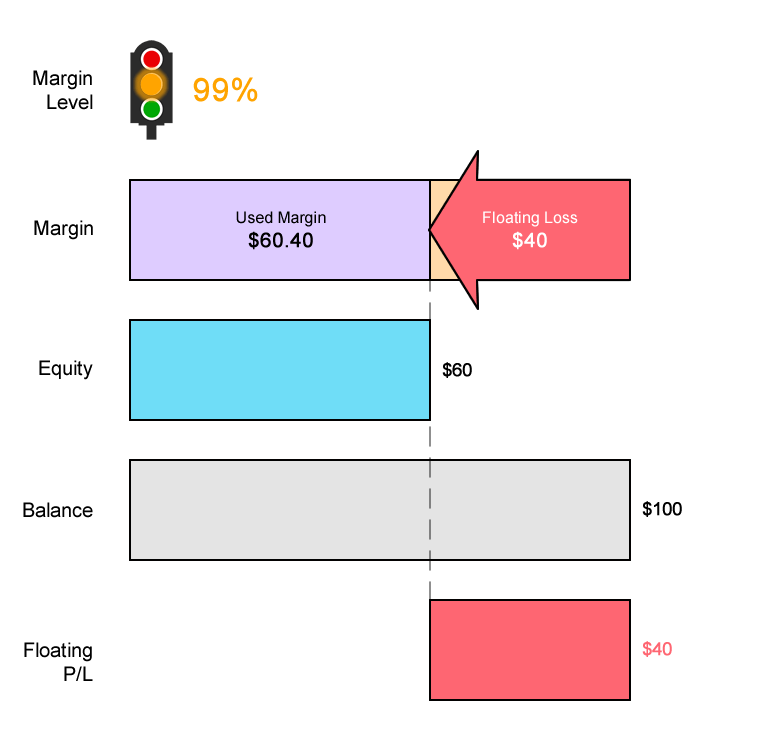 Assuming your trading account is denominated in USD, since the Margin Requirement is 1%, the Required Margin will be $60. The Equity in your account is now $100. The Free Margin is $40. EUR/USD rises 80 pips and is now trading at 1.2080. Let’s see how your account is affected. With EUR/USD now trading at 1.20800 (instead of 1.20000), let’s see how much Required Margin is needed to keep the position open. The Notional Value is $6,040. Previously, the Notional Value was $6,000. Since EUR/USD has risen, this means that EUR has strengthened. And since your account is denominated in USD, this causes the position’s Notional Value to increase. 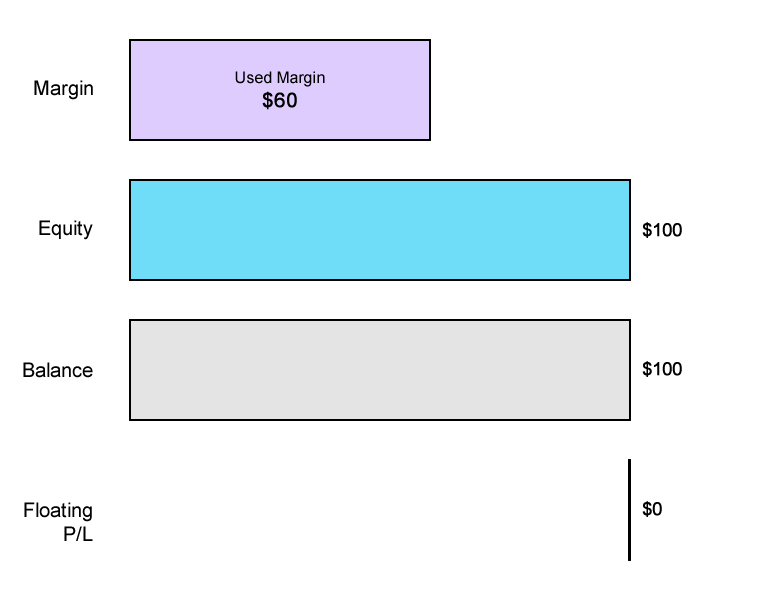 Notice that because the Notional Value has increased, so has the Required Margin. 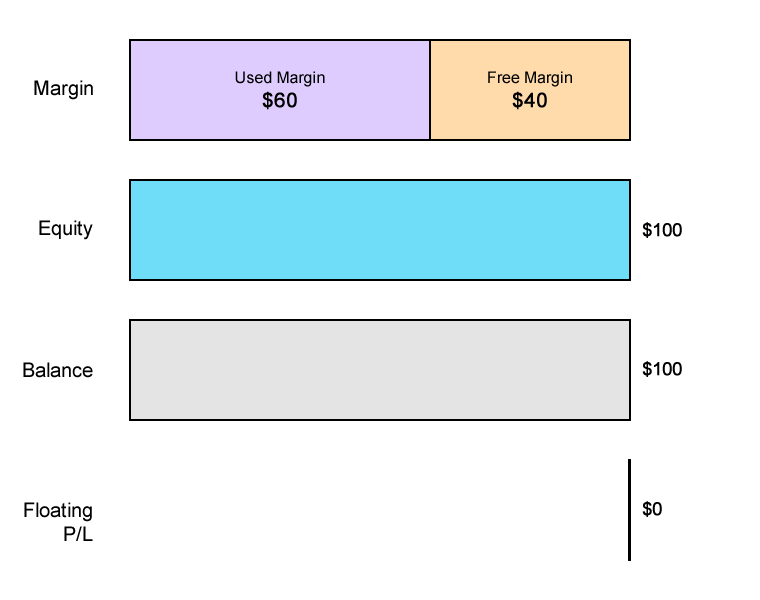 Since the Margin Requirement is 1%, the Required Margin will be $60.40. Previously, the Required Margin was $60.00 (when EUR/USD was trading at 1.20000). EUR/USD has risen from 1.20000 to 1.2080, a difference of 80 pips. Since you’re trading micro lots, a 1 pip move equals $0.10 per micro lot. Your position is 5 micro lots, a 1 pip move equals $0.50. 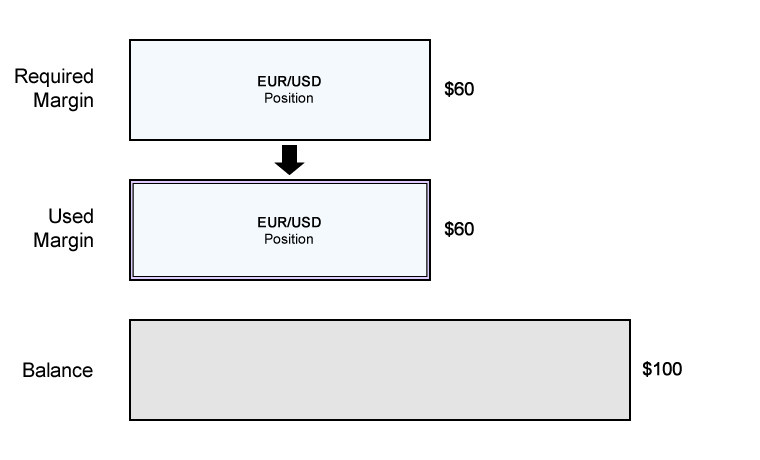 Since you’re short EUR/USD, this means that you have a Floating Loss of $40. Your Equity is now $60. Your Free Margin is now $0. The Margin Call Level is when Margin Level is 100%. Your Margin Level is still now below 100%! At this point, you will receive a Margin Call, which is a WARNING. You will NOT be able to open new positions as long unless the Margin Level rises above 100%. EUR/USD rises another 96 pips! EUR/USD rises another 96 pips and is now trading at 1.2176. With EUR/USD now trading at 1.21760 (instead of 1.20800), let’s see how much Required Margin is needed to keep the position open. The Notional Value is $6,088. 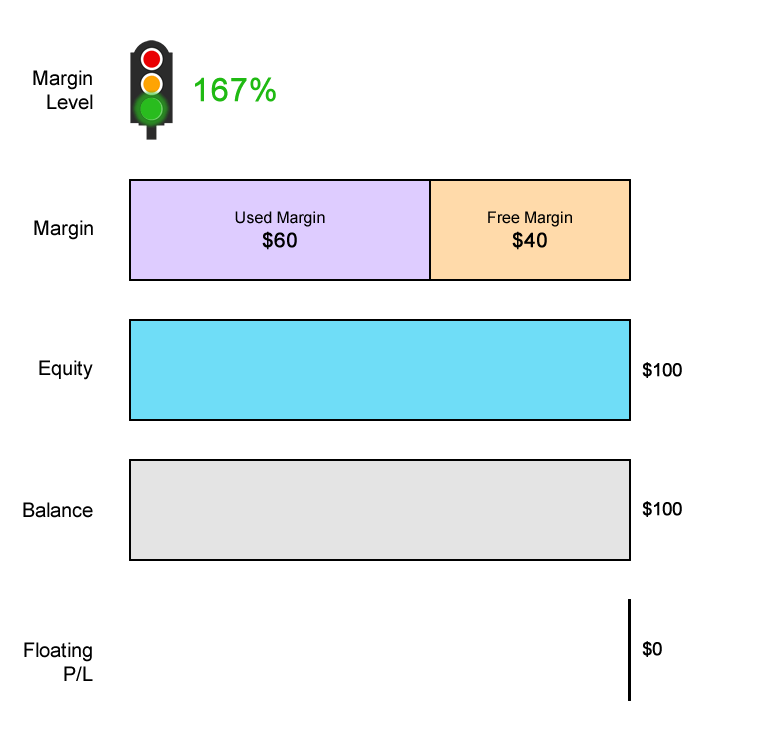 Since the Margin Requirement is 1%, the Required Margin will be $60.88. Previously, the Required Margin was $60.40 (when EUR/USD was trading at 1.20800). EUR/USD has now risen from 1.20000 to 1.217600, a difference of 176 pips. Since you’re trading 5 micro lots, a 1 pip move equals $0.50. Due to your short position, this means that you have a Floating Loss of $88. Your Equity is now $12. Your Free Margin is now –$48.88. Your Margin Level has decreased to 20%. At this point, your Margin Level is now below the Stop Out Level! The Stop Out Level is when the Margin Level falls to 20%. At this point, your Margin Level reached the Stop Out Level! Your trading platform will automatically execute a Stop Out. Before the trade, you had $100 in cash. 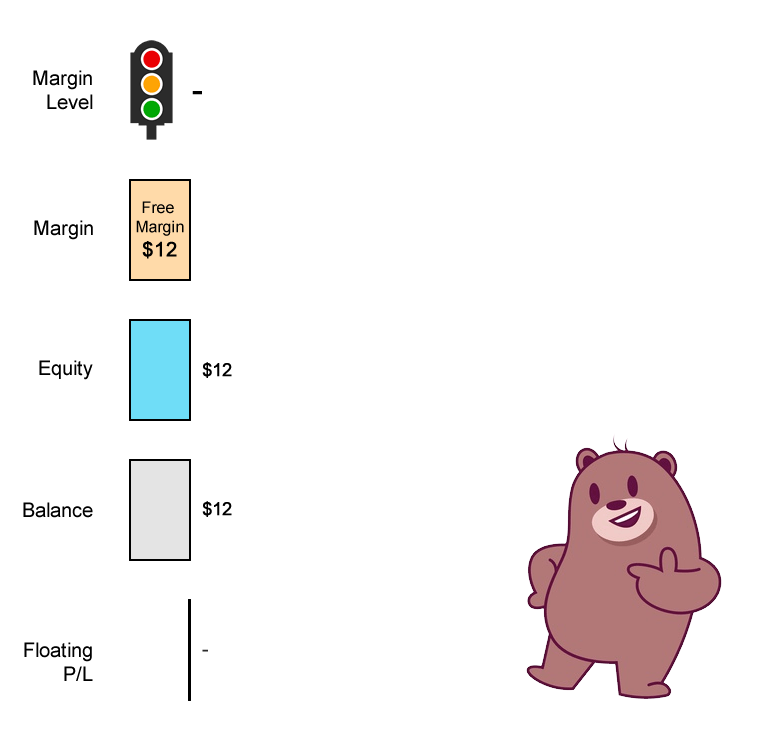 Now after just a SINGLE TRADE, you’re left with $12! Not even enough to pay for one month of Netflix! You’ve lost 88% of your capital. And with EUR/USD moving just 176 pips! Moving 176 pips is nothing. EUR/USD can easily move that much in a day or two. Congratulations! You just blew your account! Since your account balance is too low to open any new trades, your trading account is pretty much dead.